Loop points, at last. Side-by-side editing on iPad, too. Photos courtesy NI. 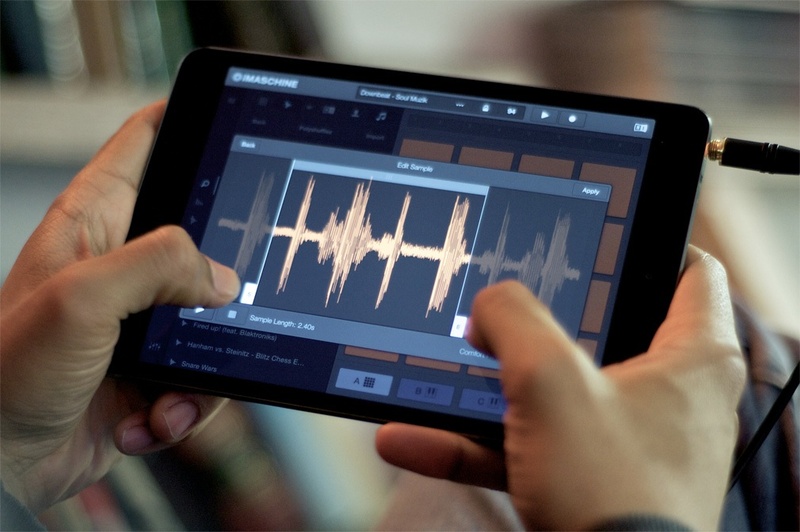 iMaschine was always an intriguing drum machine, with uncommonly-simple on-the-go audio sampling and a workflow that lets you bring drumkits back into Maschine on desktop. But it was hampered by limitations: you couldn’t set loop points properly, and there was no version for the iPad. Native iPad support, with a generous layout that takes advantage of the added space by putting editing and performing on the same window. 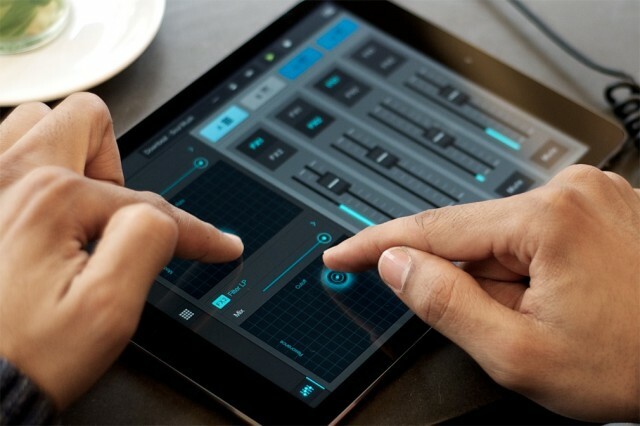 A 2-octave synth (on both iPad and iPhone, but on iPad, you can use that on the same layout, too. Sample in and out points – finally. There’s still no fades or loop modes as in Maschine on desktop – everything’s a one-shot – but you can at least get some basic controls over your samples (and use the rest in the desktop software, or by importing audio samples into your production tool of choice). iTunes sampling: Library integration means you can also sample from your own material. And while there’s no AudioCopy or Audiobus support, that means a solution for recording audio in other tools, then sampling it in iMaschine. And, to go along with the upgrade, there’s a mind-bogglingly-cool group of girls to sell you on the concept. Not to get sappy, but to me, this is why you make dance music – because dancing is healthy, is human, is part of enjoying life. Sadly, I think sometimes party life even detracts from that. But these girls can dance like you wouldn’t believe, and seeing them crowd around Jamie Lidell – well, this isn’t really even marketing any more. The update is free, and universal – so iPhone users who also own iPads get the whole deal. For everyone else, a new copy is US$4.99 / 4,49 € / £2.99 / ¥500. Yes, yes – I know there are apps that do more. But iMaschine has long been my favorite, enough so that I put up with rather annoying limitations, because of the straightforward, simple recording interface and the ability to easily dump kits into Maschine on desktop (and other software). This addresses the biggest requests, though MIDI support (and sync) would be hugely welcome, as would additional loop modes. Sampling. Just don’t make an a– actually, no, I’m going to leave that joke for someone else to make. 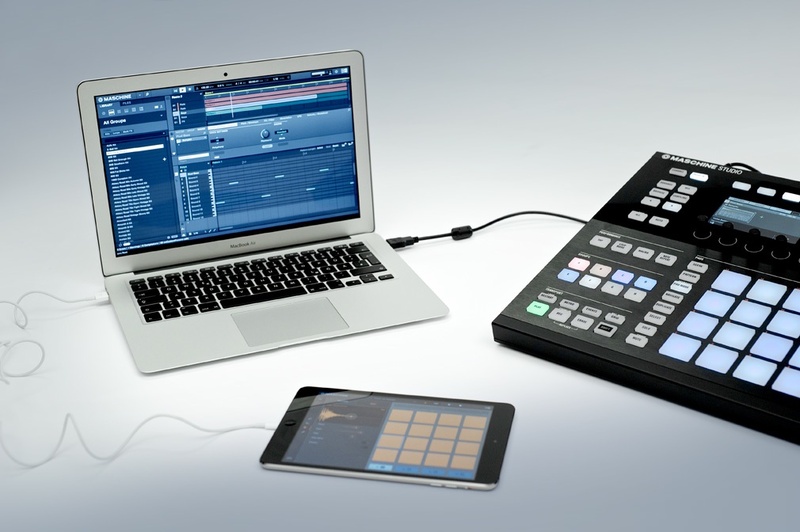 Desktop workflow integration is one major advantage to iMaschine. It outputs standard audio files, so in addition to bringing full project files into desktop Maschine, you can use the audio samples in other tools. 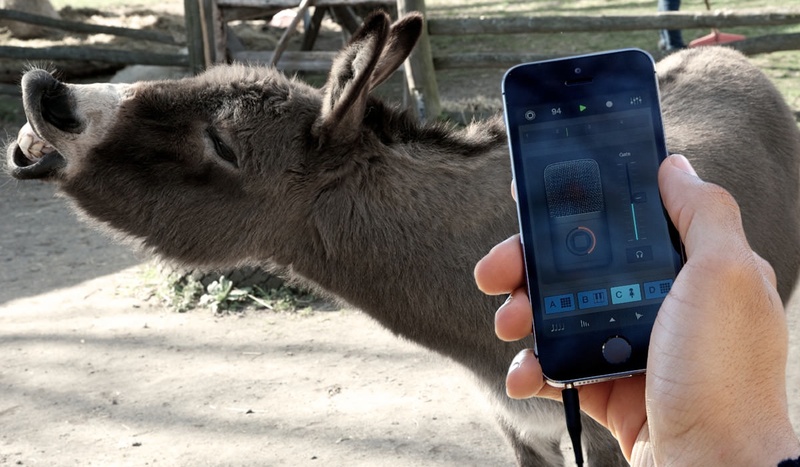 There’s a new X/Y effects controller – seen elsewhere, of course, but useful here. And the iPad boasts side-by-side editing with that extra space. 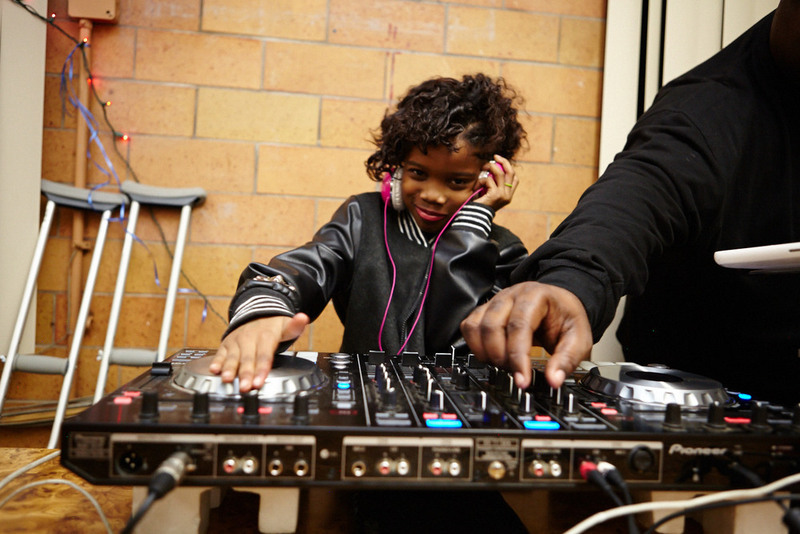 But in a sometimes-superficial world of dance music, the QKidz remind us how important music and dance can be. And they totally steal the show in this post.